After a bleak period of time for English clubs in the Champions League, which saw proceedings in the world's biggest and most talked about club competition dominated by teams from Spain, Italy and Germany, throughout the previous two seasons, the Premier League has slowly started to regain its crown as the leading domestic league in Europe. Liverpool's efforts last season, which saw them reach the final against Real Madrid but ultimately miss out thanks to a stunning overhead kick from Gareth Bale, once again got the ball rolling for English sides in the UCL. No English side has won the competition since Chelsea defeated Bayern Munich on penalties in 2012, but this term there's as good chance that things will change. With four clubs still remaining in the competition at the quarter-final phase this season, and at least one guaranteed a spot in the semi-finals at the end of April, the Premier League's dominance is now as rife as ever, reminiscent of times throughout the mid-to-late noughties where it would almost be a guarantee to see at least three English sides still left in the competition at this late stage. Either Manchester City or Tottenham will be competing in the semi-finals in three weeks time, dependant on who comes out victorious in next Wednesday's do-or-die clash at the Etihad, while it looks all but certain that Liverpool have again booked their spot in the semi-finals after a convincing 2-0 win at home to Porto on Tuesday evening. 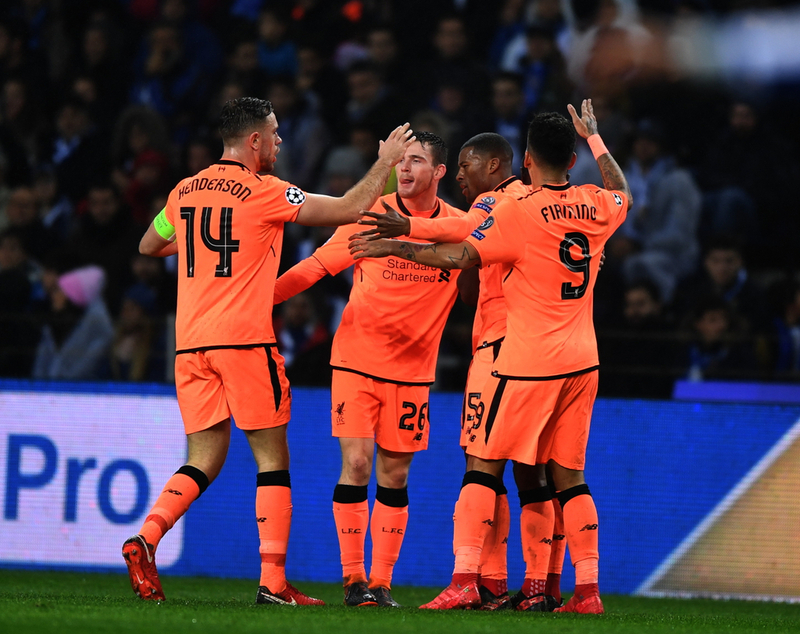 The Reds travel to Portugal for the return leg on Wednesday, knowing that a clean sheet will be enough to see them through to the next round, and considering their defensive performances this term, they look a sure bet to complete the job at the Estádio do Dragão. As for Manchester United, things look a lot tricker. Trailing the competition's five-time winners Barcelona by a goal after the first leg at Old Trafford, they now need to score a minimum of two without conceding to progress through to the next round. As we saw in the last round though, Ole Gunnar Solskjaer's side are capable of turning things around against Europe's elite, with their stunning last-16 comeback against Paris Saint-Germain still firmly embedded in the memory. Barca will be tough, though, especially if Lionel Messi decides that he wants revenge on Chris Smalling for almost blinding him. Exciting times ahead. Liverpool's efforts last season laid the foundations. Since the 2008 final in Moscow, where John Terry slipped, cried like a baby and Ronaldo & Co. claimed the trophy for Manchester United in the most dramatic possible way, representatives from the Premier League have massively struggled in the Champions League, with Europe's other four top leagues putting them to shame throughout the previous 9-10 years. In fact, prior to Liverpool last season, only three Premier League sides have made it past the quarter-final stage since 2008-09. 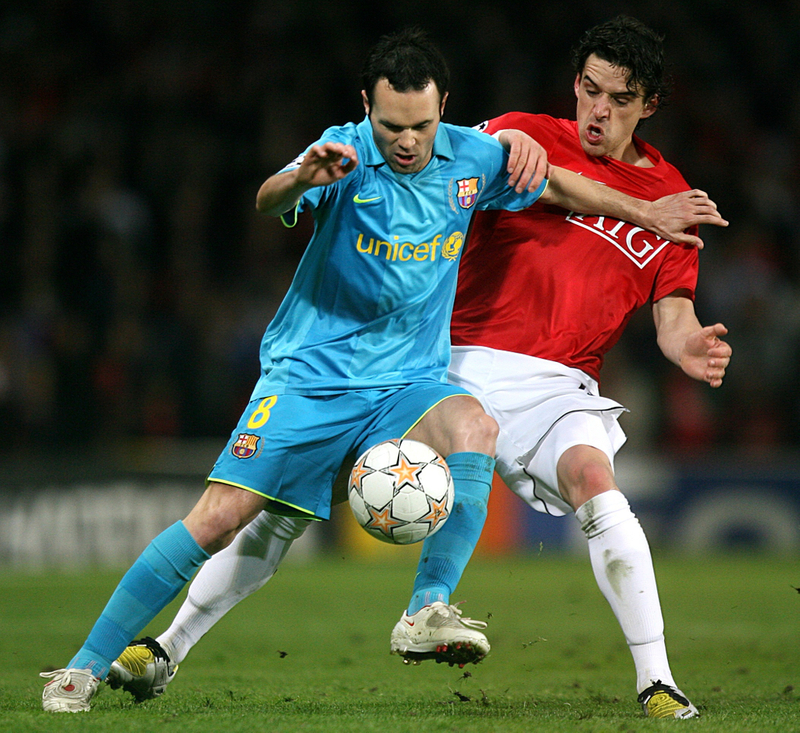 Manchester United reached the final in 2011 but were dismantled by Barcelona at Wembley - no other English teams reached the semi-finals that season. Chelsea won it the season after, but again there were no other English representatives to make it past the quarter-final phase. Not one single Premier League side reached the semi's in 2013-14 and 2014-15, with Manchester City the only club to make it past the quarter-final stage in 2015-16, before being narrowly beaten by eventual winners Real Madrid; 2016-17 again saw no Premier League club reach the semi's. To put things into context, in 2009, Manchester United, Liverpool, Chelsea and Arsenal were all still left in the competition at the quarter-final phase, and three of those four sides progressed through to the semi-finals with Liverpool bowing out after being defeated by Chelsea. Manchester United then drew Arsenal and knocked them out 4-1 on aggregate, before eventually losing the final to Barcelona. Prior to that, it was an all-English final in 2008 as Manchester United and Chelsea locked horns in Russia's capital; again, that year saw three English sides reach the semi-final stage, with Liverpool knocked out by Jose Mourinho's Chelsea in extra-time of their two-legged clash. There has been a severe lull in performance from the Premier League's best sides in the Champions League throughout the previous decade however, but with Jurgen Klopp's invigorated Liverpool side almost going the distance last season, and as many as four English clubs still left in the competition this time around - with two likely to progress through to the semi-finals - what we're seeing this season is clear evidence that the Premier League is now returning to its former strength. England's Premier League representatives have massively underperformed over the past decade. You could argue that the Premier League never lost its crown as Europe's top division, and you'd have a point, with many of the world's best talents constantly competing against each other on a weekly basis. But the true test of any division is how its representatives fare on the main stage against Europe's most elite football teams from the continents strongest divisions, and since 2012 onwards they have been frighteningly underwhelming. This term we're witnessing one of the most exhilarating Premier League campaigns in recent history, with two clubs currently neck and neck with each other at the top of the summit. Just two points separate Liverpool and Manchester City as things stand, with the latter having the luxury of a game in hand over their Merseyside title rivals. The quality of football displayed each and every week by these two sides is constantly hitting new heights, with absolutely nobody able to tell who will come out victorious when the season draws to its conclusion in a month's time. Elsewhere, the race to secure Champions League football for another season is tighter than ever, with as many as four clubs all vying for two qualifying places in the top four. Chelsea, Tottenham, Arsenal and Manchester United are currently all separated by just five points - though Maurizio Sarri's Blues have played a game more than the rest of the chasing pack. Team's like Leicester City, Wolves, Everton and Watford have all been extremely impressive as they look to obtain a space in the Europa League; each of those club's have recorded upsets against the league's 'Big Six' - with Leicester just one of four teams to have defeated Pep Guardiola's dominant Manchester City this season. 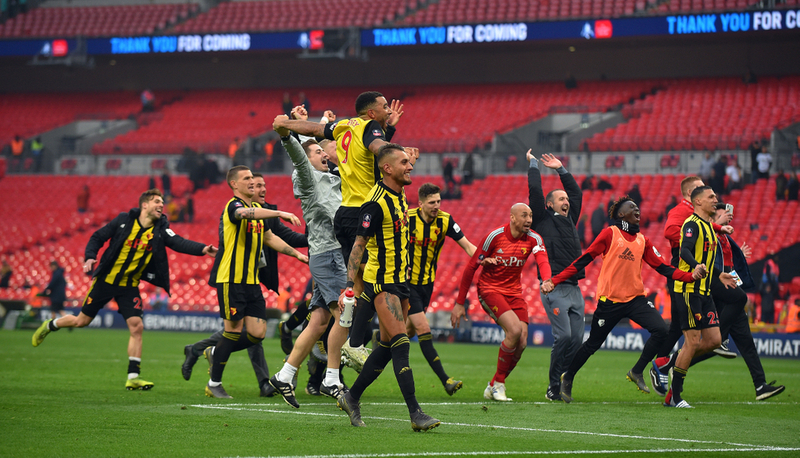 Last season's Championship winners Wolves have impressed us all with their dynamic, attack-minded style of play this term, while Javi Gracia's Watford have been the division's surprise package this time out, last weekend reaching the FA Cup final after an astonishing semi-final comeback against Wolves at Wembley. Team's like Watford have been magnificent this term - upping the quality of the whole division. The Premier League has always possessed quality, however it would be difficult to deny the fact that prior to this season, the standard had started to drop off. Manchester City were sublime last season, obtaining 100 points whilst skipping towards the title a month before the campaign finished, but it was so easy for them that it became boring. Nobody challenged the Sky Blues last term, and in the world's most 'competitive' league that simply should not be happening, should it? Leicester's rags to riches story is arguably the best in Premier League history, their achievements that fateful season three years ago will never be forgotten and it was absolutely brilliant to watch unfold. But when you look at the table from that season and it shows that the Foxes won the title having earned just 81 points - 19 less than City recorded last term and a point less than Liverpool have achieved already this season with still five games left to play - it shows just how lacklustre teams were that year. This time around however, things are different. The quality in the top flight is stronger than ever and it's being massively reflected on in the Champions League. 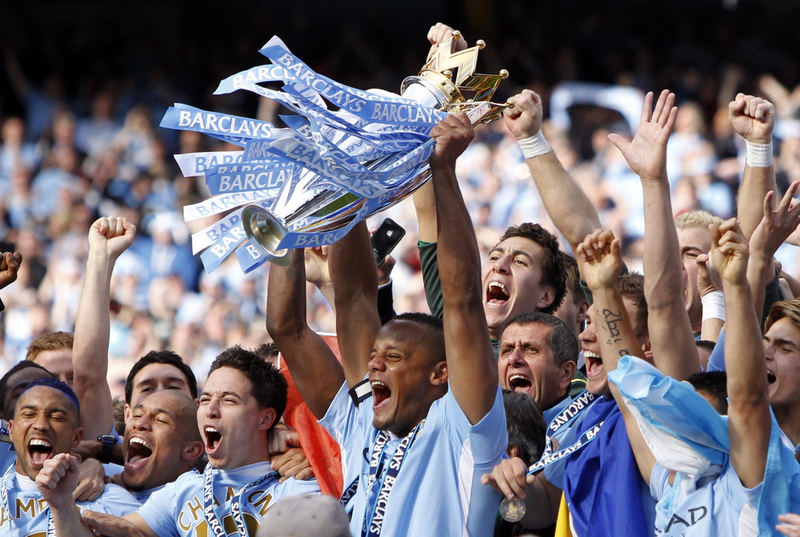 It remains to be seen whether or not a club from England will have enough in the tank to go the distance and bring home the trophy for the first time in seven years, but should the Premier League miss out on success in the competition once again, then all is not lost. That is because during this season and last, English sides continue to make steady progress in the competition. Slowly, but surely, they're showing signs of yesteryear, when the Premier League ruled over Europe as top dog and soon it will return. Cream always rises, remember that. Be nice if one of them could win it this season though, wouldn't it. Man City won the title with ease last season; things are different this time around.